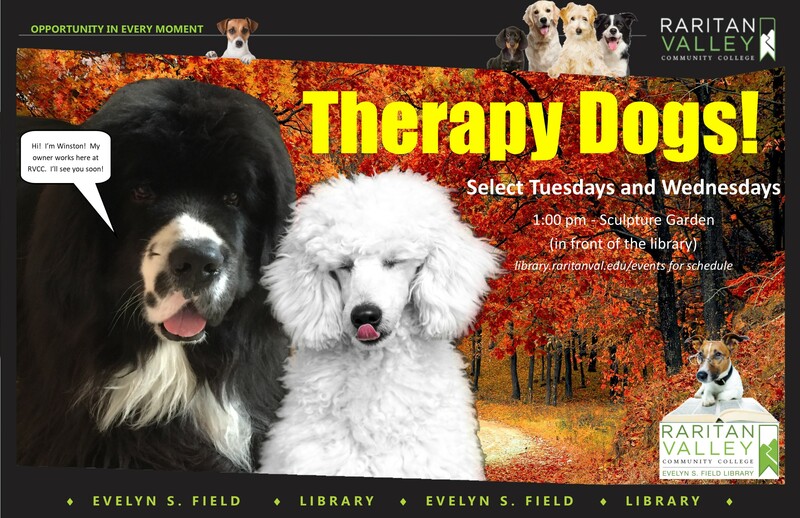 Come spend time with registered therapy dogs. FREE and open to the public. Our therapy dogs are registered with official organizations through which they have passed a test to ensure they have the right temperament and skills for maximum stress relief and smiles. To use this platform, the system writes one or more cookies in your browser. These cookies are not shared with any third parties. In addition, your IP address and browser information is stored in server logs and used to generate anonymized usage statistics. Your institution uses these statistics to gauge the use of library content, and the information is not shared with any third parties. Additionally, this institution makes use of Google Analytics for detailed usage statistics. Please review their privacy statement here.